Marta Suplici, the previous prefeita of Sao Paulo, belonging to the PT political party (from 2000 to 2004) began with the proposal for the CEUs. The idea behind the CEUs was to conform an educational and cultural network for the city, creating “Escuela Parques”- school parks- containing schools, community centers, theaters, sports facilities in a same contained area, and strategically deploying them in the poorer neighborhoods in the city (sounds familiar? I too thought of Medellin’s Library Park immediately). The initial plan projected 45 CEUs total. In reality, under the PT, there were 21 CEUS constructed. The EDIF was created as a specific department in the Prefeitura of SP in charge of these projects. When the social democrats took control, the program funding was discontinued and the EDIF was dissolved; nevertheless, because of the demand, the physical installations continued to be constructed in a smaller scale. 24 CEUs were constructed in this “second phase”. It is important to note that the CEU is one of the only programs that has been “intersecrecretariat”- joining the different secretariat of education, health, planning, etc. Although, I didn’t get the opportunity to visit too many of the structures, most of the CEUs look and are designed relatively the same way. Today, the maintenance of CEUs seems to be somewhat problematic since they are large facilities (there are no commercial spaces integrated into the design, or any other spaces- apart from the theater if they were to rent it out- that allows these interventions to become self-sustaining). In addition, from the couple that I visited, there seems to be a disconnection between the original intentions and plans of forming not only a larger networks of CEUs, strategically deployed in the city, but also a local network connecting to other local institutional, commercial, cultural and public nodes already existing in the community. With this original intention, a clear strategy for transportation, path and roadways, health, public parks would have been executed. Contrary to this, the result was a very punctual intervention, most of the time located in the border of an informal settlement, fenced in and controlled. As such, the CEU remains disconnected from the existing logic of the settlement, and the liberties and empowerment that is originally intended, are not encouraged but suppressed. As mentioned before, the mutiroes are self-help housing projects, based on Uruguayan and Portuguese housing programs. The prefeitura donates the land, and professionals (architects, engineers, etc.) form technical associations (similar to an NGO)- called “assessorias”- to help the conception, design and execution process. USINA and BAPERU are a couple of the assessorias that remain today- I believe that there are only 3 or 4 assessorias which continue to function independently from the government since the program was abandoned by the prefeitura. It is an extremely participatory process where the population in question, gets a vote in the location, material selections, design necessities, etc. of the project. The housing is paid through the work of the inhabitants (in the construction phase), in addition to a subsidy a long-term finance plan. I will not discuss the Mutiroes any further, but wanted to give you a point of comparison with the current housing policies taking place in SP. 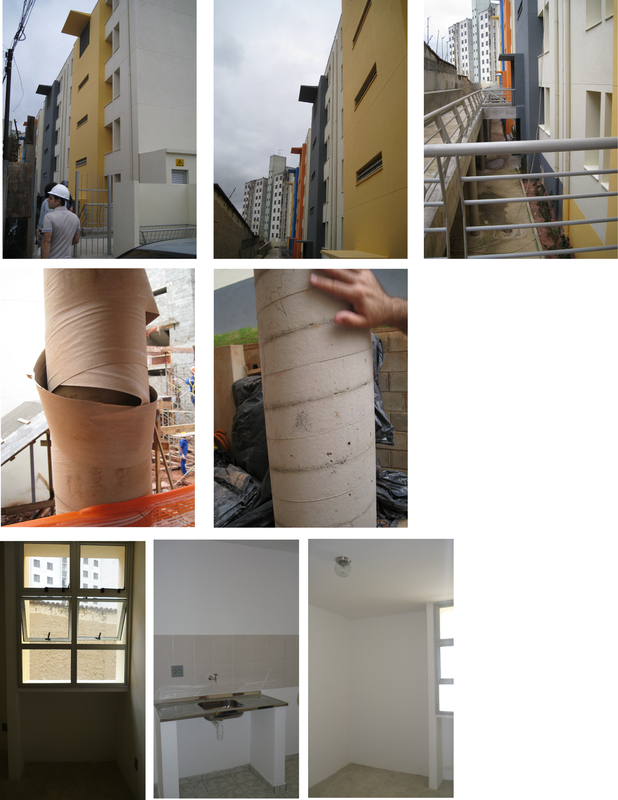 Following are some images of the public housing projects being constructed in the largest favela in Sao Paulo, Heliopolis. Currently, the majority of the projects in this favela consist of waterways recuperations and canalization, as well as housing projects. During our visit with the Prefeitura, we were able to visit three housing projects under construction. I must say, that in comparison to the social housing seen in Medellín, the level of construction and designs are, in my opinion, better and more diverse. Hey Adri, Hope you’re doing well. Sorry haven’t written for a while. These various housing projects in the pictures above, seem extremely interesting and are visibly different strategies being employed and I was wondering what maybe some of the reasons of this may be? Are they just driven by the whims of the developer or designer or are there other more nuanced realities on site that drive these “formal” imaginations of housing in the city? For example, the SuBdiv project in Paraisopolis, takes on this very “new urban” imagination that confirms to an imagination of the “facade” that needs to be created for the stadium. Hence what are some of the lesser “spectacular” but more ordinary economic or political drivers that guide/ conduct design strategies? sorry about the length of my “comment” (its more like an essay!) but I hope its constructive. 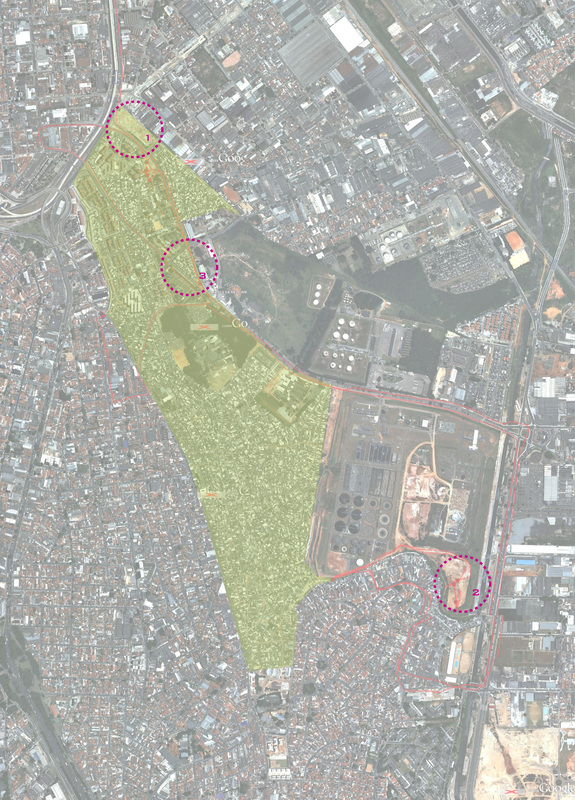 The funny thing is that these projects seem to mostly be located in the perimeter of the favela- giving a new front or face to informal settlement with respect to the surrounding “formal” city. Excellent article. Thanks for putting this up. Do you have any information on the construction methods for this? I read somewhere that they’re successful in keeping costs down because it was pre-fab construction. Do you have any information about this? Hi- thanks for the comment. If you are referring to mutiroes, I would direct you to USINA as they have been working with these types of housing processes/products for 25 + years. Hello! Thanks for the prompt response. I am more interested specifically in the specific construction of the CEUs. You outlined some examples of prefab construction for the public housing projects. Do you have any information about how the CEUs were constructed?